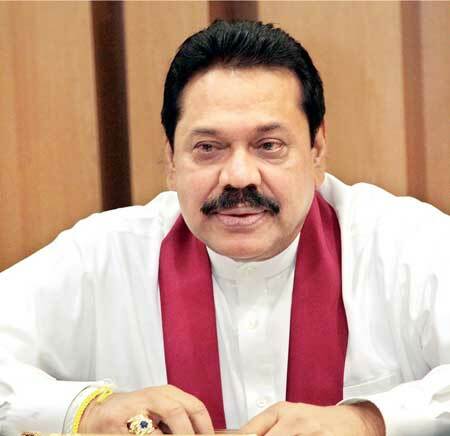 Former President Mahinda Rajapaksa has been repeating ad nauseam over the last few weeks that the present Government has taken $ 6,361 million in foreign loans in its 15-month lifespan thus far but hadn’t even built a culvert with that money. 1. Currency swap of $ 400 million in March 2015 and $ 1,100 million in May 2016. So in currency swaps, the total is $ 1,500 million. 2. International Sovereign Bond of $ 650 million in May 2015 and another $ 1,500 million ISB in October 2015. So in ISBs, the total is $ 2,150. 3. Sri Lanka Development Bonds totaling $ 2,711 during the tenure of the new Government. So, adding together all of the above Rajapaksa comes up with the grand total of $ 6,361 million ‘debt’ that the present Government got into in the last 15 or so months. Let us analyse them one by one. What is a currency swap? It is a swap; meaning an exchange. In a central bank currency swap, two central banks exchange a particular currency with another with an agreement to unwind that swap at a given date at a given exchange rate and or a given interest rate. India has such swap agreements with each SAARC country for up to $ 2,000 million on which they can draw if needed. In fact, during Rajapaksa’s rule, in September 2014, Sri Lanka also entered in to a $ 1,600 million (or Yuan 10 billion) swap agreement with China. While most of the time currencies are exchanged, sometimes they are not, but is structured as a short-term loan to be paid back with interest. In the recent case of India, I understand it was the latter. These short term exchanges are, for the most part, used to either tide over currency pressure or to directly settle bilateral trade transactions. And these take place all the time around the world. As at present US, Canada, Euro Area, Switzerland, Japan, Australia, China, Australia, UK, India, Brazil, Singapore, Indonesia, Pakistan, Korea besides Sri Lanka and dozens of others have various swap agreements between and among them. They utilise them based on need. Rajapaksa attempts to portray that Sri Lanka got in to ‘debt’ with India to the tune of $ 1,500 million in currency swaps. The reality is quite different. A $ 400 million swap was entered into in April and unwound in October. Another $ 1,100 million swap was entered into in September 2015 and unwound in March 2016. This means the ‘short-term loans’ were taken and already settled. The two central banks can at any time re-enter into swaps to be unwound at agreed upon dates as per the SAARC or any other specific currency swap agreement. I believe they have entered into another $ 400 million short-term swap recently to be unwound soon and are discussing another $ 700 million swap. These, as described are short-term facilities that are cleared in a matter of months at the most (the $ 1,500 million referred to has already been settled) and not the kind of ‘debt’ as implied. Now, let us take the International Sovereign Bonds, or ISBs. Yes, the new Government has issued 2,150 million in ISBs in 2015. If one takes a cursory glance at the history of ISBs, it becomes clear that it was during Rajapaksa’s time the ISB program was started. In fact, there is nothing wrong with ISBs if used for productive purposes, and in 2014 his Government issued $ 1,500 in such bonds. But, as far as we know, by and large the proceeds were not used for the intended purposes but instead for general budgetary support. In addition to the ISBs that year Rajapaksa’s Government used SriLankan Airlines and the National Savings Bank, among others, to issue international bonds for an additional $ 175 million and $ 250 million respectively bringing the total international bonds, both sovereign and corporate, to $ 1,925 million. The year prior to that, in 2013, his Government got NSB to issue $ 750 million in five-year international bonds for the highest ever interest rate of 8.875% plus fees when the global five-year benchmark was only 1.3%. Some may recall that the then Chairman, who was brought in after the infamous transaction where NSB purchased shares of the bankrupt ‘The Finance Company’ for a hugely inflated amount, was replaced by a ‘yes person’ to proceed with the same as he was not willing to enter in to another disaster. For those interested, NSB purchased shares of TFC for Rs. 49.50 while today the shares are trading at just Rs. 3.25. The unbiased reader will appreciate that it is not easy to make drastic adjustments to the current ISB program which has been set in motion many years ago; meaning to pay back the amount without rolling over. Nevertheless, the present Government is doing its very best to bring the program to a manageable level, and utilise the proceeds for useful capital expenditure. The overall objective is to reduce the debt to equity ratio in projects by increasing foreign direct investments on public-private-partnership basis, among others. A point to note is that, as referred to earlier, Rajapaksa used SriLankan and NSB as well as the Urban Development Authority, the National Water Supply and Drainage Board and the Road Development Authority among others to ‘hide’ the debt from the national debt figure so that he could argue that national debt to GDP was coming down. The argument was that these State-Owned Enterprises had strong balance sheets and could borrow and repay on their own. However, it is well known that none of these SOEs have the capability of paying back the massive loans they have taken and at the end of the day the treasury is called upon to make payment. The recent exposé on the way SriLankan had borrowed and how it is becoming an unbearable burden on the Government to service the loans is a clear example of how wrong the thinking was; or perhaps how arrogant the decision makers were with no concern about being responsible to society. These ‘hidden loans’ are part of the $ 1 trillion that the Prime Minister has been speaking on recently for which a forensic audit is to be conducted to get accurate details. Yes, SLDBs worth $ 2,491 million had been issued in 2015 to roll over loans taken in the past for the most part and some additional funding. Total outstanding SLDBs stood at $ 2,984 as at end of 2014. A total of $ 2,084 million is due in 2016 and at least that amount would have to be issued to roll them over unless other funds are found. Now, let us turn to the costs that Rajapaksa has provided for some of the large white elephant projects that were started during his period. The objective here is not to discuss whether the costs were competitive or whether they were inflated, but to show the amounts shown and the actuals spent are vastly different and that they were funded by project loans. For instance, he says the Magampura Mahinda Rajapaksa Port cost $ 426 million to construct, but the actual cost thus far has been over $ 1,300 million and it is not yet complete. This figure is without the associated costs including $ 130 million on oil storage tanks that have never been used. In fact, almost all of the funds that were utilised to build these infrastructure projects came from project specific loans be it from China or elsewhere. This includes the rest of the projects in his list; Mahinda Rajapaksa International Airport in Mattala included. So, even though Rajapaksa attempts to make it seem that the various loans that were taken by the present Government could have been used to build infrastructure, including culverts, the facts are totally opposite to that. Government-owned infrastructure is built using long-term project loans unless governments have surpluses or are public private partnerships. No infrastructure has ever been built using swap agreements anywhere in the world and short tenor ISBs are not suited for assets that take a fairly long time to start generating revenue. As mentioned earlier, SLDB is a misnomer and is not suited for development projects. For example, the first $ 306 million for the MMRP was from China EXIM Bank, originally agreed upon at LIBOR + 0.90%, or today’s rate of 1.78% but subsequently changed to fixed rate of 6.30% on a Cabinet paper presented by Rajapaksa himself; the next $ 140 million again from the same bank including the $ 45 million to blast a ‘rock’ that created much discussion and a further $ 808 million also from China EXIM Bank for Phase II. The Phase I loan, signed in 2007, has a 15-year tenor with a four-year grace. This is already 2016. Of the $ 130 million spent for the unused oil tanks at the port $ 76.5 was also a loan from the same bank while the rest came from local banks. MRIA was also similar. The original cost was $ 208 million funded by China EXIM Bank and a further $ 100 million for improvements later and some $ 40 million for oil storage facility; in excess of the said $ 190 million and from sources not divulged by him but in fact from project loans. So, it is clear that the money for the seaport and airport named after Rajapaksa was funded by a series of project specific loans and not by the ISBs, swaps, or SLDBs. This was the case with respect to all other developments in Hambantota; be it expressway-like roads, railways, overpasses, huge cricket stadium, tele-village, etc. Before a project is financed thorough assessments are carried out to determine if the project to be undertaken will have revenue streams to repay the loan. In the case of the huge loans taken for the infrastructure that bears Rajapaksa’s name, the question is if feasibility studies were done. In fact, the details available at the Department of National Planning indicates no proper feasibility studies were ever conducted on any of the projects that have now become ‘white elephants’. The country was told that 27 investment proposals had been received and the Cabinet had approved seven of them. They were a sugar refinery plant, a cement grinding and bagging plant, a fertiliser plant, a petro-chemical plant and three warehouse complexes. His top port expert, the then Chairman of the nation’s Port Authority, boasted that “effective intervention of President Mahinda Rajapaksa to lure the international community to commence business in sustainably peaceful environs in the country has brought about the dawn of an era of prosperity for all Sri Lankans” and that at the second stage of the investment, 11 more investors were to arrive with investments of $ 1.15 billion, which would increase the total investment at the port to $ 1.8 billion by 2013. What I wished to clarify from this short explanation is that the story that is being spread that the present Government is taking huge loans but is not utilising the same for any productive purpose is totally inaccurate. The truth is that the loans taken on project basis to build most of the infrastructure cannot be serviced as the infrastructure is unutilised or underutilised and has hardly any revenue, forcing the Treasury to make payments on the due dates by finding money from other sources. For how long can we as a country continue this way? Not for long. Sri Lanka must find a way to earn its own dollars to, at the very least, repay the principal and interest payments that are falling due on the gigantic loans taken by Rajapaksa for projects that bear his name but have no revenue streams. A fact that is stubborn but is very revealing is that during Rajapaksa’s regime exports to GDP ratio fell from 34% to 14.5%. Just this figure will help the unbiased reader understand the present Government’s predicament. It inherited an economy that was in massive difficulty on the external front but window dressed by certain creative accountants to deceive the people. To get FDI the investors need to see a potential export market. Given ours is a small 20 million lower middle income economy, it is imperative we expand our reach to the region. We must be able to tap in to the emerging South Asian middle class in India, Pakistan and Bangladesh as well as in Central Europe. From the early days it was during the times that we as a nation was integrated with the world that we prospered. The challenge for us is to once again make Sri Lanka a hub. This time the hub of the ‘Asian oceans’, like the Prime Minister has already said. There are many who are attempting to derail this Government’s economic plan by blocking the initiatives to integrate Sri Lanka with the rest of the world. But I am convinced this Government will succeed in this endeavour.